We’d like to say congrats to Aloe Blacc his breakthrough track “The Man” has been certified platinum in the US by the RIAA this week. “The Man” first gained attention when it was featured in a Beats by Dre national TV campaign earlier this year and is quickly climbing to the top of the charts with a #6 spot on Billboard’s Digital Songs chart this week. Blacc’s major label debut Lift Your Spirit will be released on XIX Recordings/Interscope Records on Tuesday, March 11th. Click here to watch the video and get more info on his album. 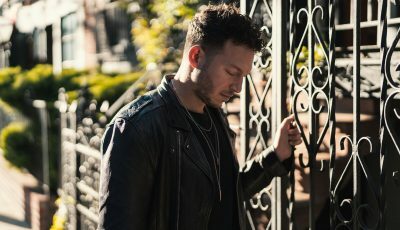 An Interview With The Singer-Songwriter, STOLAR On New Music, Biggest Inspirations and More! Listen as The British Singer-Songwriter, JAMIE N. COMMONS Discusses His Soon To Be Released Debut Album, Working with Alex Da Kid and More! LISTEN To An Interview With OWL CITY As He Talks About His Latest Album “Mobile Orchestra”, His Greatest Inspirations and Growing Up In Minnesota!